According to police, two men walked up to the home with shotguns in hand and approached the homeowner and another man on the porch. The two armed men allegedly started shooting at the men on the porch. Police say the homeowner shot back, hitting one of them. The homeowner told deputies she heard her doorbell ring and answered the door on Nope Lane in Lancaster. That was when the man, who police said is Antonio D. Mackey, 35, of Lancaster, forced his way in leading to a struggle with the victim. She tried to dial 911, but Mackey took the phone from her hand. That was when the woman grabbed a pistol, firing a shot at Mackey who ran into the woods. The 26-year-old female had a relationship with the victim, according to police, and the shooting happened during a physical altercation. North Las Vegas police said their investigation indicated that the woman shot the man in self-defense. "I have no use for it and I just wanted to get rid of it," he said of the Ruger. Plus, he said, he has two grandchildren and figured turning in the gun was the best way to eliminate any chance they could access the pistol. That handgun was one of 36 guns York City Police collected over a two-hour period Friday night. There were at least a dozen long guns. I looked at privately owned pictures of the event that are protected by copyright. 100 gift cards had been purchased from The Villa shoe store. The money came from the York County District Attorney's office. That would be $5,000 dollars. As only 36 guns were collected, I suspect the other gift cards will be turned back to the shoe store for a refund. The "buyback' was only open for two hours, from 6 p.m. to 8 p.m.
Stationed next to the firehouse was a man holding a cardboard sign that read, "Consult Me First," in an effort to attract gunowners who might want to get a fairer price than the city's $50. He said he was not affiliated with any gun shop, but believed some guns were likely worth more than what the city could provide. About halfway through the event, he said he had not yet had anyone stop by. During the period of the gun turn in, there was a gun show in York, at the York County fairgrounds. I suspect most of the guns brought in would have sold for $50 or more, cash. Certainly the Colt and Smith & Wesson revolvers would have sold for hundreds. The admission for the gun show was $8. Gun turn in events tend to be counter productive. They are not really "buy backs" because you cannot "buy back" something that you never owned. The people turning in the guns tend to be older females who inherited the guns. They often turn in guns worth hundreds of dollars for a $50 gift card. They could as easily have taken the gun to the gun show and sold it for hundreds of dollars. But they do not have the knowledge of how much the guns are worth. They do not take the time to do the online search to find out. If they do, they are the ones who turn in the starter pistols or the older, obsolete revolvers. I do not know if the lone private purchaser was able to buy any of the firearms that turned up. I wish him luck. Too bad he missed that collectible Colt. ELKVIEW, W.Va. (WSAZ) -- Deputies say Charles Thomas was held at gunpoint by the owner of the home he was trying to burglarize Thursday night. It happened at a home along Frame Road in Elkview. When deputies got to the home Thomas tried to run. Kanahwa County deputies caught him and charged him with breaking and entering. Jesse Giles says he was awake inside his home around 1:00 a.m. when his motion sensitive light went off in the driveway. He grabbed his gun and opened his front door. He saw a teen in his car looking for valuables. "I just reacted. My first reaction was to protect myself and to make sure if these people were armed, I had my weapon and I could react," said Jesse Giles. FORT WORTH, Texas - A Good Samaritan who witnessed a carjacking in Fort Worth took matters into his own hands by shooting the suspect. I saw the movie at an afternoon showing at the Harkins Theater in Yuma, Arizona on 28 October, 2017. I knew the movie dealt with theme of a prominent atheist converting to Christianity. The movie is not an action packed drama, so well loved of Hollywood of late. It deals in personal interrelations and faith. I suppose you you could say it is a "chick flick". The opening scene, where the main protagonist "debates" with a Christian academic, is powerful, because it shows the primary value left to secularists: hedonism. I suspect many will be able to relate to this scene. I found the film engaging and moving. But I did so because many of the actions connected to my personal history. I was an acting agnostic/atheist for 40 years before I came to Christ. It is an intensely personal experience. Most Christians can tell you their story. I have doubts about the movie resonating with people who have not experienced it. I found Sean Hannity's limitied time on screen to be well done and believable. It is a film worth seeing, but it did not keep me on the edge of my seat. Instead, I found tears running from my eyes. I would like to see Christians support the film, if only to encourage more Christian oriented films. They need not be as openly proselytizing as this film. I would like to see a movie made of "The Discovery and Conquest of Mexico" by Bernal Diaz. That would be a guy flick. Dozens of battles, intrigue, cannibalism, and human sacrifice. With Christians, however flawed, triumphing over pagan warriors both brave and cruel. Better ideas were a significant part of the Christian victory. Maybe Mel Gibson could direct it. NY: Governor Cuomo Vetoes Knife Law Reform... Again! Common knives defined as "gravity knives. 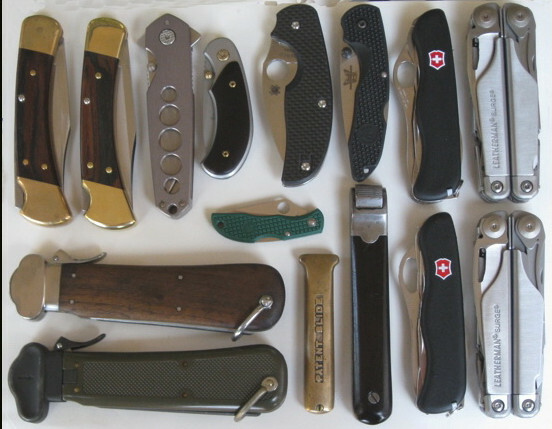 The two knives in the lower left corner are original WWII "gravity knives". On 24 October, 2017, Governor Andrew Cuomo vetoed bill A. 5667A, a reform of New York State's antiquated and misused gravity knife law. The law has been popular with almost everyone in the state but the Governor and those who are profiting off of the suffering caused by the misapplication of current law. Support for the bill came from a number of uncommon allies. The Legal Aid Society and the National Rifle association both supported the bill, as did he Brooklyn Defender Services, the Office of Court Administration, the NAACP, even the New York Times editorial board. 5. "Gravity knife" means any knife which has a blade which is released from the handle or sheath thereof SOLELY by the force of gravity [or the application of centrifugal force] which, when released, is locked in place by means of a button, spring, lever or other device. The bill passed the New York State Senate 61-1. The vote was originally unanimous. The bill passed the assembly 136-1. So why did Governor Cuomo veto the bill, in the face of overwhelming support? "Today's veto of gravity knife reform is a dark mark on our legislative process," challenged Assembly sponsor Dan Quart, a Democrat. "For the second year in a row this legislation was overwhelmingly supported by a broad and diverse coalition. And, for the second year in a row, it was vetoed by one single signature." "The governor should not pretend as if he cannot solve this problem," added Todd Rathner, Director of Legislative Affairs for Knife Rights, an advocacy group for knife owners and sellers. "In the end Governor Cuomo chose to side with Cy Vance over the citizens of the state of New York." "For decades, black and brown New Yorkers have been arrested, prosecuted and incarcerated for possessing a basic work knife sold at retail stores across the state," said Legal Aid Society Criminal Practice Attorney-In-Charge Tina Luongo. "Albany had a second chance to right this injustice tonight but failed to enact needed reform." The answer appears to be that Manhattan District Attorney Cyrus Vance loves the bill and the power it gives him. Nearly all the prosecutions under the current statue are in New York City. There are rarely any prosecutions in the rest of New York State. Most of the prosecutions are of minorities, about 86%, according to the Village Voice. So why doesn't the legislature override the veto of Governor Cuomo? In New York State, the legislative session is from January to June. The bill was not sent to the Governor until October 11th. The legislature is not in session, so no veto is possible. The bill did not pass the legislature until the very end of the session. Did the leaders of the legislature pass a broadly popular bill, only to send it to a Governor who had vetoed it last year, with no way to override the veto? The legislators can claim they voted for a popular bill, giving the Governor full power to veto it. The Governor claims that law enforcement, Mayor Di Blasio, and AG Cyrus Vance all pushed him to veto the bill. District Attorney Vance’s investigation led many of the sellers, including Home Depot, Eastern Mountain Sports, Paragon Sports, and four others, to enter into deferred prosecution agreements. The agreements require the companies to turn over all profits from the sale of such knives during the past 4-year period, totaling nearly $1.9 million to date, and to finance a campaign to educate the public about illegal knives. In addition, DA Vance announced the appointment of a District Attorney’s Knife Sales Monitor, to ensure compliance of the seven companies with the terms of the deferred prosecution agreements. 1.9 million may seem like chump change in New York City politics, but as they say, a million here and a million there, and it starts adding up. The village Voice has shed considerable light on the practice. It appears no education program was ever set up, and that over 800,000 dollars remains in an account set up for the purpose, the Voice reported in 2014. With the overwhelming support for knife law reform in New York State, it will happen. It won't happen while Governor Cuomo, Mayor DiBlasio, and Cyrus Vance are in office. Another avenue may be Knife Rights long running lawsuit against the gravity knife law as unconstitutionally vague. The appeal should be heard in the Second Circuit some time in the future. 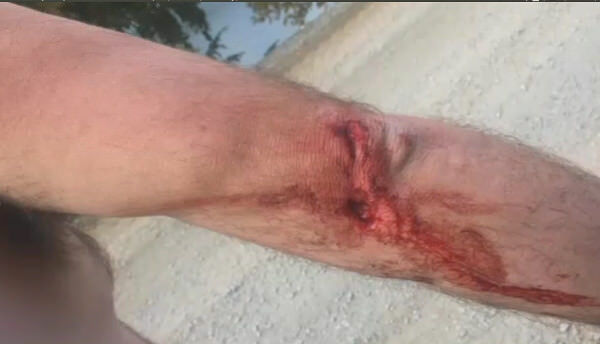 During the struggle to keep the suspect locked inside the shed, the man’s gun accidentally discharged and he shot the alleged intruder in the leg. The suspect was allegedly impaired and has warrants out for his arrest, officials confirmed. Police say a Sand Springs man is dead after they say he was shot by a homeowner during a burglary Thursday evening. SAC CITY | A man allegedly breaking into a Sac City apartment was shot twice by a resident inside Wednesday. Police responded to Strange Brew Tattoo on Elliot Street on Friday at about 8:20 p.m. after receiving a report that three people had broken into the business. Kenneth Murphy, 59, had called 911 after firing several shots at the burglars, Brattleboro Police Det. Greg Eaton wrote in an affidavit. Second, civil rights groups such as the Firearms Policy Coalition (FPC) and others have sued the jurisdictions that have illegally banned stun guns for decades. Stun Gun. Any device which expels or projects a projectile which, upon coming in contact with a person, is capable of inflicting injury or an electric shock to such [person.] person; also known as an electric or electronic incapacitation device. No person under eighteen (18) years of age shall own, use, possess, sell or otherwise transfer any "stun gun". The parent, legal guardian or other legally responsible adult of any child under the age of eighteen (18) years who violates subsection 10-825(2)(a) shall be in violation of this Section and shall be responsible for payment of any fines assessed against the adult’s minor child. 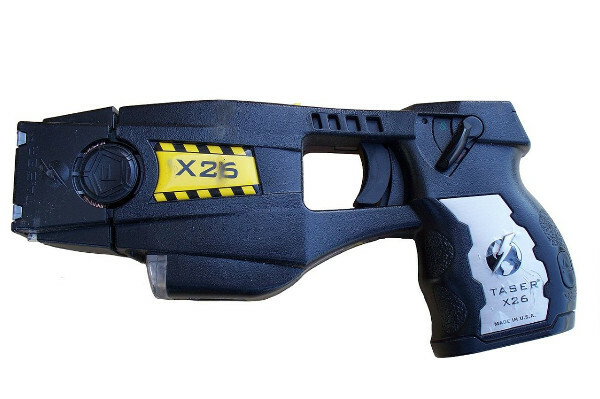 Similar bans on stun guns and Tasers have been repealed or reformed in Annapolis, MD; New Orleans, LA; the State of New Jersey; Tacoma, WA; and Westminster, WA. 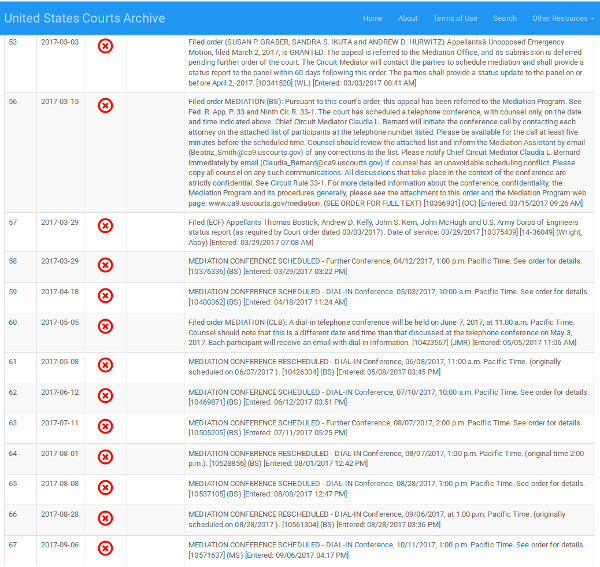 Lawsuits are ongoing in several other places around the United States. Caetano is an important decision. In the recent case Kolbe v Hogan, the Fourth Circuit Court of Appeals ruled that semi-automatic rifles are not protected by the Second Amendment because they are "like" military arms. This is directly in opposition to Caetano. The Kolbe v. Hogan case is being appealed to the Supreme Court, but the Court does not have to hear it. The Supreme Court has been reluctant to take Second Amendment cases lately. Smith immediately called 911 upon discovering Ware and held him at gunpoint until police arrived. “I told him to stay in the can. Don’t get out,” said Smith. A 30-year-old man police say was shot during a failed smoke shop robbery attempt in August was indicted Wednesday by a McLennan County grand jury. Ogden police say the fatal shooting of a man over the weekend is being treated as a case of self-defense. On Saturday, officers responded to the 800 block of 27th Street on a shots fired call about 4:30 p.m. One victim, a man, was found outside and was soon declared deceased. At the time, police announced they were looking for the attacker. Isaiah Brueggen, 20, was charged Wednesday with burglary as a party to the crime for the Aug. 11 break-in at 417 S. Eighth St. According to court documents, a resident told police he heard someone kicking in his back door just before 7 a.m. and found a man in his kitchen with a bandanna covering his face. He shot the burglar as he ran out the back door and reported seeing him get into a red Ford Escape. 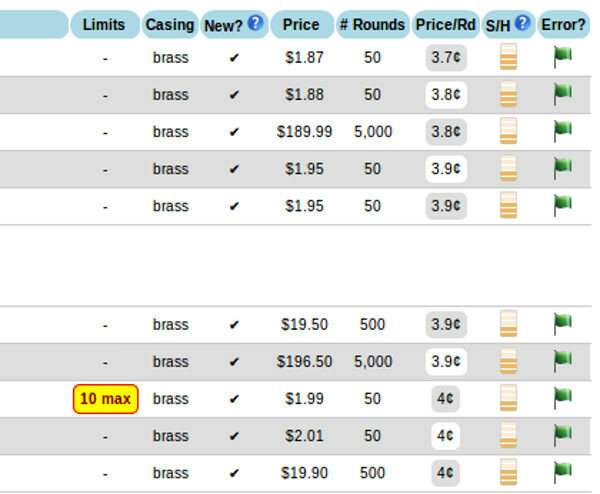 In this screenshot from an online ammunition search engine, you can see that .22 LR ammunition prices have dropped below 4 cents a round in some cases. Federal American Eagle is as low as 3.8 cents per round, the Federal champion 510 round is just under 4 cents a round, and there are several offerings of Aquila Super Extra Standard Velocity from 3.7 cents to 4 cents a round. 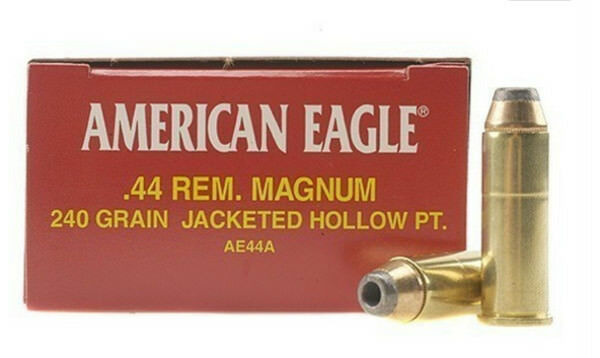 The 3.8 cents per round Federal American Eagle ammunition is available at Ammo King. The 3.7 cents per round Aquila Super Extra .22 LR Standard Velocity 40 Gr LRN is at AmmoMen. The Federal 510 Champion .22 Long Rifle Solid 40 Gr LRN high velocity has a 10 box limit at Ammo Fast. I expect the demand for .22 ammunition to drop when the reality of a Trump administration hits home. The current protests and riots are not helping. Nor are the conspiracy theories about a Trump assassination. After President Trump is safely inaugurated, and starts to move his legislative agenda, demand will drop and prices will fall. I expect bulk .22 ammunition to be available for 4 cents a round by October of 2017. Bulk .22 ammunition is becoming available in stores across the nation. Limits have been taken off of purchases in most stores, including WalMart. Prices at Cabela's have remained fairly high. Prices at Academy Sports have dropped a bit. I have not seen .22 LR prices on the shelf in Yuma, below 4 cents a round. Alert readers around the nation may have noticed lower prices in their area. Ammunition manufacturers have ramped up production, increasing .22 production about 20%, from 4 billion rounds a year, to 5 billion rounds a year in the United States. In person in the ammunition industry told me that the delays due to stifling regulations in the United States have delayed the creation of one manufacturing plant for at least five years. Aguila has increased its productive capacity by about 70 percent in Mexico. They now produce over a billion rounds a year, with about half of that going to the United States. An increase in new shooters in the United States, and an increase in semi-automatic .22 rifles and pistols has increased the base line demand for .22 LR. When recreational shooters go shooting, they may expend 500 rounds of ammunition instead of 50. There has been quite a bit of geographic variability through out the .22 ammunition bubble. What has happened in your area? Are people still lining up to purchase all the .22 ammunition on the shelves? We would like to see what the lowest prices for .22 ammunition are in your area. Where are the best deals? Is .22 ammunition mostly in stock in the stores in your area? Is there any .22 ammunition (on sale counts) at or below 4 cents a round? This year, a version of the bill passed the Senate 19-15, but died in the House. There have always been practical exceptions to the exercise of the Second Amendment. Prisoners of war are disarmed. They do not have the rights of citizens of the country. People who are locked up for crimes are not allowed to have arms. They have forfeited their rights. People are not allowed to bring weapons into prisons. In the Supreme Court decision of Heller, mention is made of "government buildings" and "sensitive areas". Courthouses are a place where arms have been excluded, off and on, for about a hundred and fifty years. The problem with creating "gun free zones" is that it creates serious obstacles for people who wish to exercise their fundamental right to keep and bear arms. Court houses are particularly problematic. 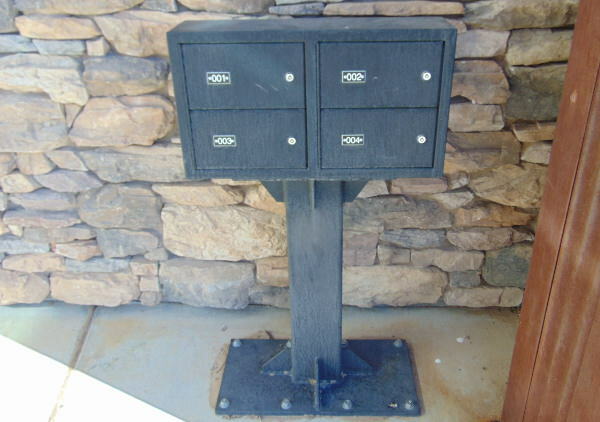 The state may require you to enter them, and require you to leave your personal protective weapons outside. Guns are often stolen from parked vehicles, and courthouse parking lots are a concentrator for criminals. Florida is not alone in examining this issue. Texas and other states are currently in the middle of a Legislative vs Judicial fight. The Texas Attorney General is in the middle of a lawsuit to require public buildings to allow the exercise of the Second Amendment. The law bans guns in court rooms, but not in the entire building that houses the court. Wyoming limits gun bans to the courtroom, after a judge attempted to ban guns in the entire courthouse. These accommodations for people exercising the right to bear arms are a logical response to more people exercising the right. As of 2017, over 16 million people in the United States have carry permits, 13 states do not require a permit for carrying a weapon openly or concealed. 30 states do not require a permit to openly carry a weapon. As many as eight masked suspects, wielding firearms and stun guns, stormed into a home in the 8000 block of Broadleaf Avenue shortly before 2 a.m., according to the Los Angeles Police Department. Several victims were physically pinned down and assaulted during the incident, investigators said. At least one victim was pistol-whipped, but none of them was seriously injured. One of the victims told ABC7 that a family member with a gun opened fire on the intruders, sending them fleeing into the surrounding neighborhood. The suspects remained at large; it was unclear if any of them were struck by gunfire. The clerk at that store had her own firearm. She says when he pointed his gun, she pointed hers right back and pulled the trigger. Police lapel footage and 911 calls released Wednesday capture those intense moments immediately after it happened. Caller: "He came running in the store with a gun drawn and he got shot." Caller: "Yes, ma'am. My assistant had a gun." The video shows police approaching the injured man later identified as 23-year-old Ferron Mendez. Police say Mendez tried to rob the Circle K on Eubank and Candelaria. But when he aimed the gun at clerk Jennifer Wertz, she took action. Mobile Police have arrested a man accused of shooting at a robbery suspect. The robbery happened one week ago Wednesday night at the Riverside Food Mart on Riverside Drive. Tyrone Taylor was arrested and charged with firing into an occupied dwelling. Police say Taylor saw the robbery in progress and suspect running away on foot when he fired his gun. The bullet went through a home across the street and hit the family's TV. Fortunately no one was injured inside the home. 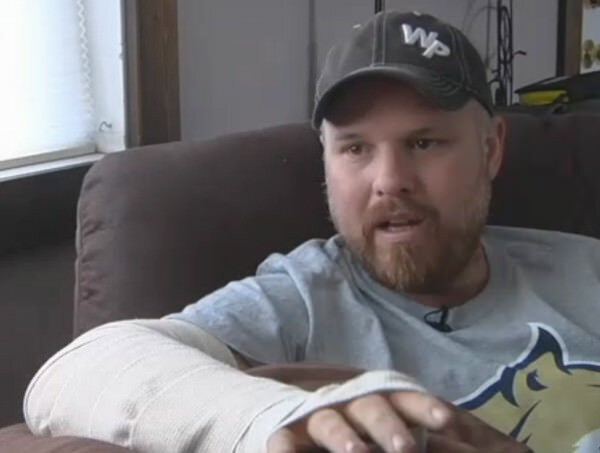 The man who Lewis accused of shooting him about a year ago returned gunfire, wounding Lewis. Another man was shot in the leg as the two continued to fire their weapons. Police said Lewis, who was wanted on arrest warrants at the time, wounded both men during the shooting. Authorities said no charges will be filed against the man who they said killed Lewis in self-defense. He purchased his gun legally and has no criminal history, Dowe added. The media frenzy over the mass murder in Las Vegas has died down faster than any other such story I have seen in the last two decades. The push for legislation to ban "bump stocks" has also died down. It has not stopped. Vandermyde called the legislation an “overreach,” saying Democrats are seeking to take advantage of a tragedy to push through tighter gun controls even as facts surrounding the shooting continue to change. The bill passed a committee on a 7-5 vote, sending it to the House floor. Republicans voted against it. They favor a competing bill that would only apply the ban to bump stocks, not other devices. That measure, sponsored by Rep. Barbara Wheeler, R-Crystal Lake, has the backing of the Illinois State Rifle Association. At the end of the townhall meeting as Duffy said he needed to bolt, I was given the floor to ask my question. I said, as a knee-jerk reaction to the tragedy of the Los Vegas shooting, we will be seeing an attempt to ban bumpstocks and other accessories. Representative Duffy stopped me right then and said, "I will vote to ban bumpstocks. Automatic weapons have been banned for a long time, nobody should have access to automatic weapons." I replied, That I didn't think he understood the issue, and that it is the laws physics that they are trying to ban. I told him the effect of a number stock could be attained through, many ways that could not all be banned, a piece of stick, a belt loop and many other ways. I stated that the bill is very ambiguous and up for radical interpretation. Congressman Duffy agreed that it is ambiguous, but again stated he will vote to ban the bumpstocks. That ended the discussion. Now the 49ers, the SJPOA and the LA Protective League and other major law enforcement unions are coming together calling for new laws around bump stocks-- armor piercing rounds-- and gun silencers. The police unions say the idea is not to restrict gun owners’ rights-- but to make the community as a whole safer. For its part, 49ers are pledging $500,000 toward the campaign-- and are working to recruit other NFL teams to sign the pledge. The team and the unions are also working on public service announcements and ways to improve community police relations. Legislators need to be reminded to be vigilant against including irrelevant items and activities. Those pushing for a disarmed population always attempt to portray their extreme policies as "common sense". Las Vegas is the only crime where bump stocks have been used. Armor piercing ammo is a virtual non-factor in crime, and silencers are so seldom used in crime the ATF is considering their deregulation. This is the typical overreach of those opposed to an armed population. When they push for too much, they should get nothing. 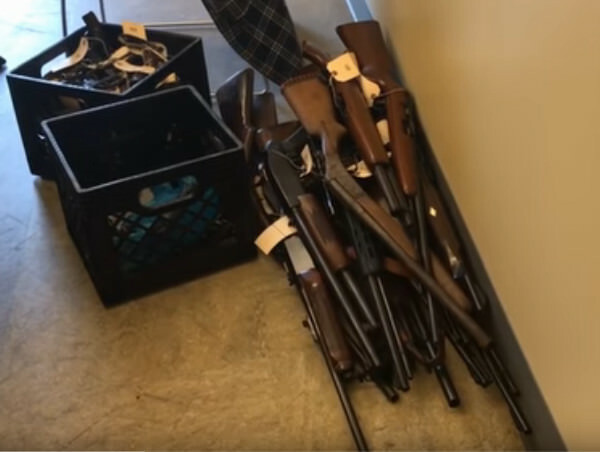 A gun turn in event in York, Pennsylvania delivers an opportunity for brave Second Amendment activists to obtain some nice guns for little money. Their actions would also create a media event to protect Second Amendment Rights. 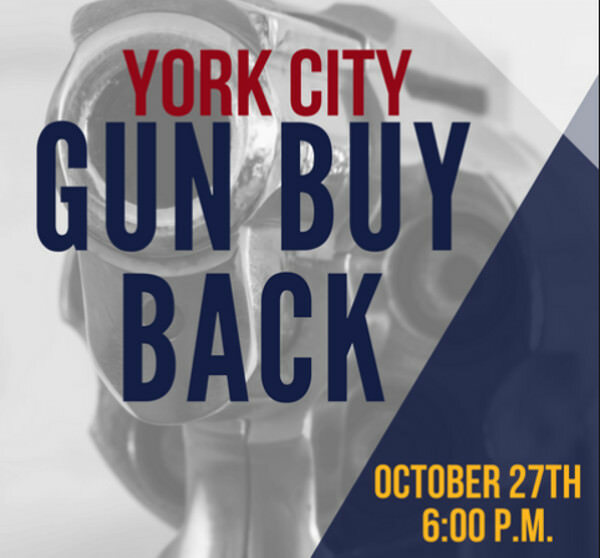 The City of York and The York County District Attorney’s Office will hold a Gun Buy Back in the City of York on Friday October 27, 2017, 6:00pm, located at York City Fire Department, Station #5 – Goodwill, 833 E. Market Street, York, PA. In an effort to assist with curbing the sensless gun violence in our community, individuals are encouraged to turn in their guns to the York City Police Department on the date of the event, in exchange for a gift card to The Villa, with no questions asked. No permit is required to purchase guns in Pennsylvania. Gift cards of $50 will be given for each gun turned in, no questions asked. Across the country, communities, police departments and churches are sponsoring gun turn-ins to get "guns off the street". At many of these events, private buyers are showing up, offering cash for the more valuable guns. These private additions to the public turn-in are effective, no doubt, in getting more guns off the street, because they add to the resources that are available to those who want to get rid of guns for something of value, be it a shoe store card or a number of twenty dollar bills. Resources may be limited. Sources have informed me the Mayor and City Council are appropriating the money for the cards. "If there's a guardian, a parent, or grandparent in the house and see a weapon they know is not there's... bring that gun in. No questions will be asked," explained Bracey. Damien Mabie, a convicted felon, says he doesn't think gift cards will help the gun problems in York. "If you really want to be able to get rid of these guys, you got to be able to get rid of the people who carry the guns. Giving these people gift cards, little gifts… that's not going to work," said Mabie. Having private purchasers show up at these events is cheap activism for Second Amendment supporters. Detectives said Johnson then armed himself with a 12-gauge shotgun for protection. The unidentified man then drove his SUV at a high speed up the driveway toward Johnson, his wife and another resident standing near the end of the driveway, detectives said. The SUV skidded to a stop in a gravel portion of the driveway about 3 feet from where the three were standing, detectives reported. As the driver backed the SUV down the driveway, detectives said, he aimed at Johnson, who in turn fired one round of bird shot, striking the man in his face and neck. An off-duty Baltimore police officer was awakened Monday morning by an armed burglar inside his city home, wrestled a gun from the man and fatally shot him with it, according to city police. The officer, who was not hurt, has been placed on administrative leave. The suspect was taken to an area hospital, where he was pronounced dead. Neither was immediately identified. Authorities said Wells was alone inside the office suite when she heard someone banging on the door. 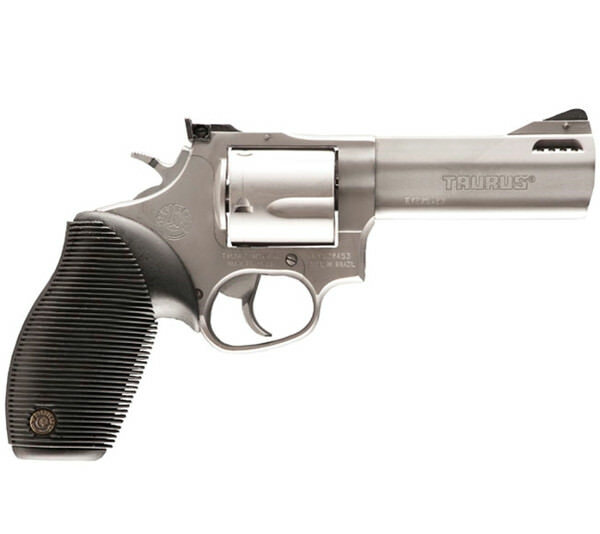 She attempted to dial 911, but could not get the call to connect, so she grabbed her revolver. She then saw Branch moving toward her doorway, and he continued to get closer despite her yelling at him to stop, authorities said. Wells shot Branch one time, striking him in the neck. 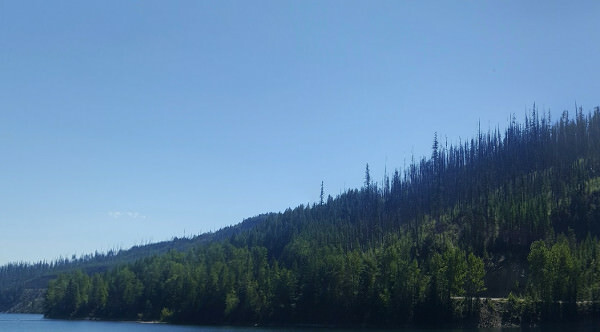 Wells has a concealed handgun permit, authorities said. The Eleventh Circuit case, GeorgiaCarry.Org, Inc., et al v. U.S. Army Corps of Engineers, et al, quickly followed on March 7th. That indicated a Trump administration willingness to reform the Corps of Engineers regulations to allow for the exercise of Second Amendment rights on land managed by the U.S. Army Corps of Engineers. There have been six mediation conferences over the last seven months. Settlements can take time to work out. 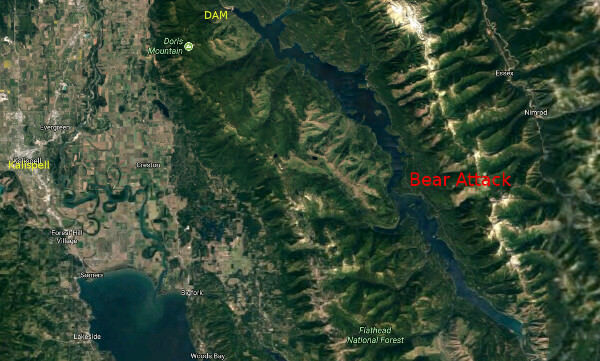 I hope the Army Corps of Engineers is acting in good faith. I have seen too many cases where bureaucrats use process to slow down a policy change they do not agree with. President Trump has had several successes in reversing the Obama administration's use of executive power to extra-constitutionally implement policy. Reforming the blatant refusal of the Army Corps of Engineers to recognize the Second Amendment should be easier. 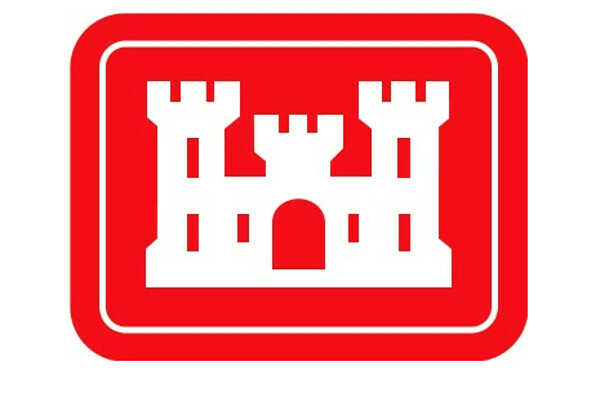 The Army Corps of Engineers is part of the Army. President Trump has a lot on his plate. President Trump is also the Commander in Chief. The Army Corps of Engineers Commander, Lieutenant General Todd T. Semonite, is a holdover from the Obama administration. He works directly for President Trump. Requiring the U.S. Army Corps of Engineers to respect the exercise of Second Amendment rights is something that President Trump can legitimately require. President Trump and General Semonite both took oaths to protect and defend the Constituion of the United States against all enemies, foreign and domestic. This should be a case of the Trump administration using executive power to protect and defend the Constitution. General Semonite should get on board. The semi-automatic rifle has become common on the hunting grounds all over America. It is the modern sporting rifle. It is extremely versatile, used for target shooting and self defense as well as for hunting. 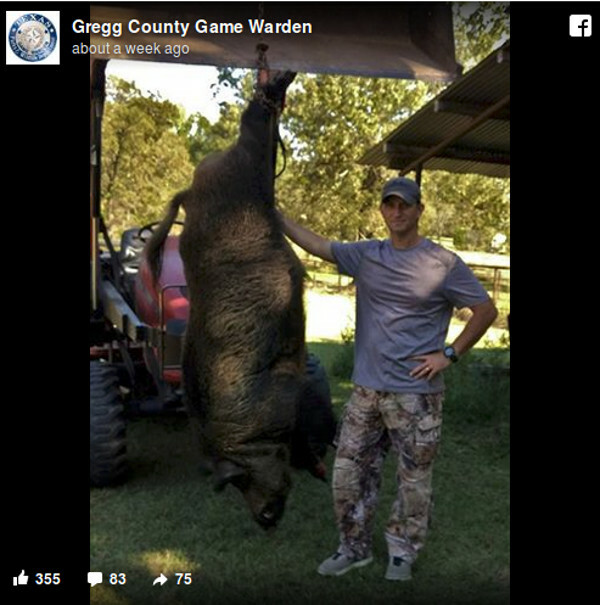 Feral pigs have become a serious problem in Texas. An estimated four million of them do significant damage to crops and wildlife. They are smart, adaptable, and eat anything and everything. The become nocturnal to avoid hunters. Hunters have adapted by using night vision devices. The pigs are a big problem in Australia as well. While Australia has banned the possession of semi-automatic rifles for the vast majority of its population, it makes an exception for farmers that have a problem with feral pigs. 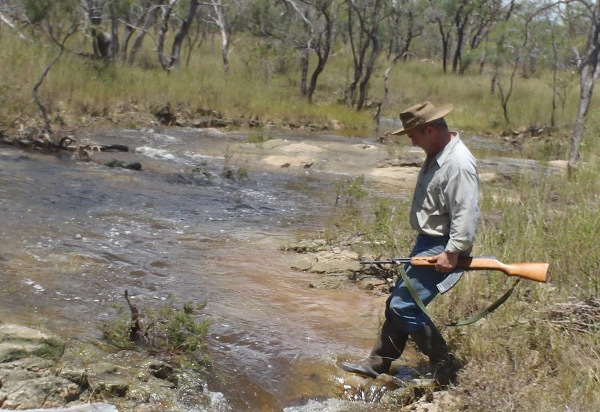 This Australian farmer waited two years to obtain a special permit for the semi-automatic SKS that accepted 30 round magazines. It worked very well on feral pigs. 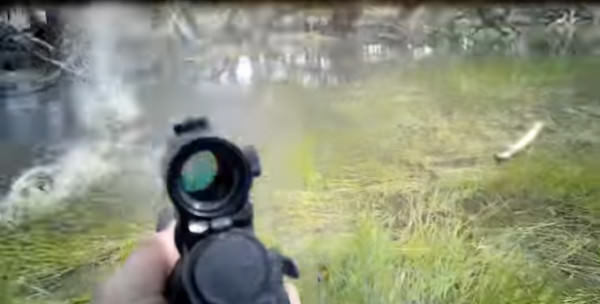 In the video below, two Australian pig hunters use semi-automatic rifles to stop the charge of a large crocodile. It shows the versatility of the semi-auto in self defense. The video is well worth watching for only 69 seconds. Put yourself in one of the hunters' boots. Think about operating a manually reloaded gun in those circumstances. Semi-automatic rifles are very well suited to hunting. They are rarely used in crime. FBI statistics show that more people are murdered with blunt instruments than with all rifles, not just semi-automatics. 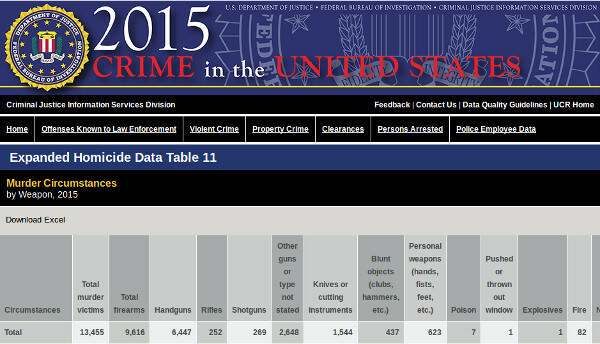 In 2015, 252 people were murdered with all types of rifles, while 437 were murdered with blunt objects. When people tell you that semi-automatic rifles are not suited for hunting, they do not know what they are talking about. Joe Clowers experience, and the experience of the Australian hunters in the video show just how wrong they are. Consider how much more suitable semi-automatics are for disabled people, older people, people with arthritis or limited mobility. 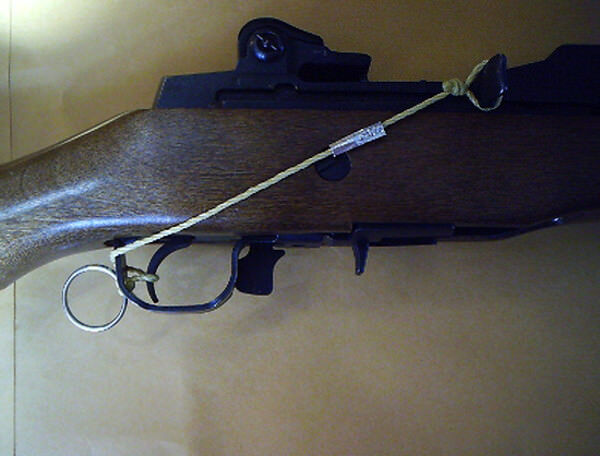 Semi-automatics have been used for hunting in America for over a hundred years. The most common rifles purchased in America are semi-automatics, the most popular rifle is some version of the AR15. In spite of those who want a disarmed public, Americans will not be allowing their government to limit their rights to own semi-automatic rifles. Even the gun-phobic Australian government acknowledges the advantages of semi-automatic rifles for hunting feral pigs. Police say the victim noticed a thief get into his truck and start to drive away. The victim ran outside and fired several shots at his own truck. Police believe the suspect returned fire. The shooting shattered the truck’s back windshield and side window, but the suspect still managed to speed away. On Sean Hannity's radio program, today, 24 October, 2017, I heard Hannity say he knew of the details of the bribery and extortion associated with the Uranium One scandal a year and a half ago. He kept the secret because he had sworn to do so. It was well before President Trump was elected. It was after Donald Trump declared his candidacy. It suggests Donald Trump knew of this before his election. I have known, for over a year, and have not told you, because I was sworn to secrecy, that there was an informant that had infiltrated this whole case. I have known about the bribery, and the kickbacks, and the extortion, and the money laundering. and I have known that the FBI knew in 2009 and 2010 that this network was created, infiltration had taken place, and the infiltration was that Vladimir Putin wanted to get into the U.S. Uranium market because as a superpower, that is where he gets his power from. This implies that President Trump has been three 3-D chess moves ahead of his opponents from the start. Where would Hannity and Trump obtain such devastating information? Why was it important to keep it secret until now? It is plausible this was the work of patriots in the intelligence agencies. People who could see the corruption on the inside, but could not see a way to stop it from the inside. The Republican revolution in the states showed them the possibility of a President who took his oath of office seriously. A president with the fortitude and genius to root out the rot in the deep state. That President is Donald Trump. A President who would appoint judges who believed the Constitution was the law of the land, not an impediment to a "progressive" future. A President who would push back against subversion of American sovereignty to globalism. It would mean everything for supporters of the Second Amendment. It does not mean the Trump Presidency was a certainty, or that decisive victory against the deep state was a sure bet. Poker is a better analogy than chess. Trump had a couple of aces in the hole. He had to keep his opponents in the dark about them, until the play would be decisive. A decisive play could win an enormous political pot to secure the future for the Republic and Constitutional government. Hillary Clinton's pushing of the "Russian Collusion" ploy after the election was a gift from heaven. The opposition kept doubling down on every round of bets, while President Trump had two aces in the hole and another pair of aces in his hand. When was the optimum time to rake in the pot? It would have to be long enough before the mid-terms to give President Trump a decisive majority in 2018. It would include sweeping out establishment, deep state RINOs. That play is happening in slow motion. The balance was tipped by a patriotic and eclectic group of police and federal law enforcement officers, centered in the FBI and the NYPD. In the following years, thousands of agents and officers claimed to have been involved. We may never know the numbers for certain. It appears that less than a hundred were the core group. They understood that the Clinton crime machine and its tentacles had already compromised many in the top levels of government. They had witnessed how the compromised DOJ had been politicized and used to cover-up high level corruption. What could they do? The Fast and Furious scandal showed how little whistle blowers were protected, and how effectively the establishment media was able to spin, deflect, and spike any revelations of misconduct. There had been no punishment for the politicization of the IRS. The lack of punishment showed the essential impotency of the Republican House and Senate. Donald Trump became these law officers' last chance to save the Republic. The American Republic was set up to facilitate the bloodless transfer of power. The officers could not act while President Obama was in office. Their careers would have been destroyed to no effect. If they waited until Hillary was elected, their situation would have been worse. If any other Republican were elected, the unwritten rules of the American Aristocracy would prevent them from doing anything effective. The Republican would simply be another face of a corrupt establishment. Trump offered a revolutionary chance. There was a narrow window of opportunity to stop the Clinton campaign. Expose the Clinton corruption, allow truth to elect an outsider, and the corruption could be rooted out under a Trump administration that had promised to "Drain the Swamp" in Washington, D.C. The vision of the future from the essay is looking more likely than ever. Bob Corker is not running for re-election. Jeff Flake just announced that he will not run for re-election. Senator McCain has severe health problems. He is unlikely to survive to the 2018 election. The establishment media has spent the last 10 months obsessively discrediting itself in front of the nation. President Trump is repeatedly beating them. 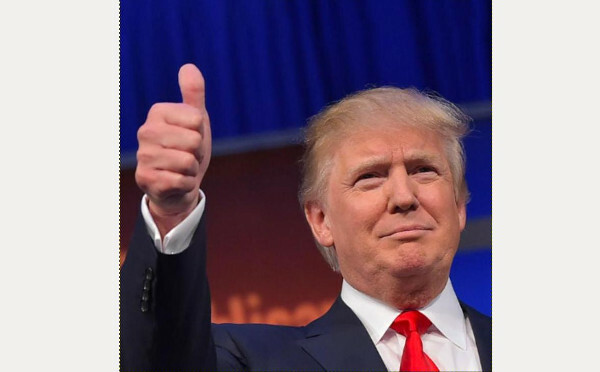 What other aces has President Trump been dealt, now that he is in charge of the casino? Donald Trump is presiding over a revolution as compelling and potent as the Franklin Roosevelt revolution that moved the United States far from limited government and adherence to the Constitution. It is just beginning. It is early. The light appearing on the horizon is looking more and more like sunrise, and less and less like an oncoming train. So what made Flake decide to throw in the towel. His seat may not have been perfectly safe, but he had a decent chance. Of course, he would have had to spend millions. He now can keep the money and use it for other campaign causes. But that is a huge step down from being an actual Senator! Flake is fairly young. He is only 54 years old. He can likely smell a lot of roses in his remaining years. 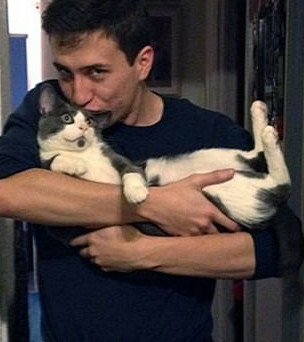 Maybe he will become a lobbyist. 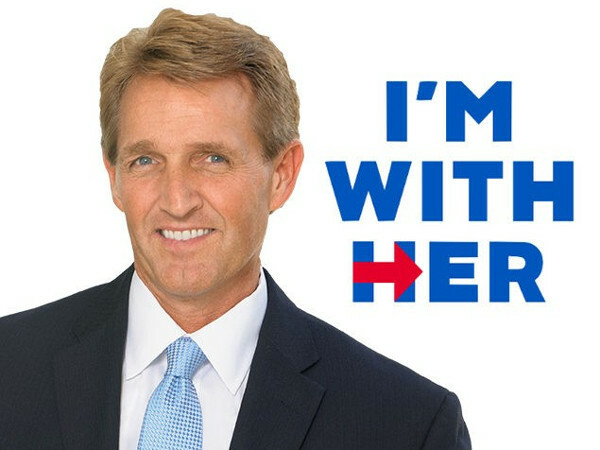 Did someone dig up some skeletons in Flake's closet? According to Perales' arrest warrant affidavit, Robinson grabbed his 9mm Glock and immediately saw Perales upon opening his bedroom door. Robinson yelled "Get out of my house," the warrants states. Shots were fired, and Robinson was hit once in the torso, police said. All initial indicators are leading investigators to believe this was an incident in which the homeowners’ use of force was for the protection of their life and property. At this time, the deceased adult male has not been identified. This case remains an active, open investigation. After robbing a woman of her purse at gunpoint, one of two armed-robbery suspects was shot to the right leg and left foot by the victim's son in the Dillard area last week, according to New Orleans Police. Jeremy Davis, 20, was taken to a local hospital for treatment before he was booked into the Orleans Justice Center jail in the armed robbery, police said. Lee County Sheriff Jim Johnson said deputies were called to a Highway 6 residence south of Plantersville around 4:45 p.m. where a male came home and confronted his mother and stepfather. "He had a baseball bat in his hand and assaulted both of them," Johnson said. "At one point, the stepfather was able to get a .45-caliber handgun and shoot the suspect. He was carried to the North Mississippi Medical Center in bad condition." Police responded at about 6:18 a.m. after an intruder broke into a home on Purifoy Street armed with a handgun and demanded money. The homeowner gave the intruder the money he had on him and a fight began, during which the homeowner got ahold of the handgun and shot at the intruder, police said. A 26-year-old Ypsilanti man acted in self-defense when he fired a shot that wounded another man's leg and grazed his scrotum during a domestic dispute inside a Canton mobile home, authorities have confirmed. The shooter was at a Canton woman's home when her ex-boyfriend walked in and began to attack him, prompting him to fire a shot from a handgun, according to police reports. Surveillance video shows one of them using an ax to break down the door of a barn. A second suspect later appears. Elliot says when he saw the robbers getting close to another home where his grandson was staying, he grabbed his gun and opened fire. A total of 138 law enforcement agencies in New Jersey currently have stun guns, or Tasers, on hand, an office spokesman said Wednesday. The New Jersey Second Amendment Society, which alongside a state resident sued Attorney General Christopher Porrino on grounds that New Jersey’s ban was unconstitutional, wanted it that way, said Alexander Roubian, the group’s president. The dismantling of New Jersey’s stun gun ban comes six months after Porrino’s office signed a consent order acknowledging that the law violated the Second Amendment. But while gun groups cheer, New Jersey’s law enforcement community is ambivalent about the dismantling of the state’s 32-year law. We do not know when stun guns will be allowed to be sold in New Jersey. It should be soon. The public comment for the new rules ends today, 22 October, 2017. TASER guns are now legal for citizen use in the state of New Jersey. New Jersey's attorney general has formally agreed to lift the state's ban on stun guns as part of a legal settlement with a group of gun rights advocates. Click here to read more. It appears the online retailer may be a bit premature. The rules for sale havn't been released to the public, yet. But New Jersey, with a strong push from the Second Amendment, the Supreme Court, and the New Jersey Second Amendment Society, is about to get a little more freedom. A neighbor who witnessed a man being robbed at gunpoint grabbed a gun and fired a shot, killing one of the suspects, according to Greenville County Sheriff's Office investigators. The shooting happened Oct. 12 on Gethsemane Drive. Investigators said Shane William Standard, 25, Tracie Lewis Mayfield, 32, and Jeffrey Eugene Bradley, 31, went to a home, held a man at gunpoint inside the home and demanded money. 18-year-old shot in leg, said to be fleeing at the time. A man who told police he has a permit to carry, later identified as 43-year-old Kevin Martin, was walking with another woman in the area when a group of two men and a 17-year-old possibly surrounded the pair, according to police. "It just kind of happened all of a sudden," said Courtney Bivens, who saw the entire incident unfold. "There was a little scuffle, so that caught my attention, and when I looked up I saw a guy pull out a weapon." A 56-year-old clerk told police that the suspect, armed with a knife, had approached him and demanded money. The suspect swiped two packs of cigarettes before backing the clerk into a corner and demanding he open the register. The clerk then drew his own handgun and the suspect fled on foot. Police said the clerk had a concealed carry permit for the weapon.